The man hired to smuggle Ulysses into New York City was sweating. It was the summer of 1933, and just owning a copy of James Joyce’s modernist work was an arrestable offense: Ten years prior, the New York Society for the Suppression of Vice had instigated a court case against the American publishers of Little Review for serializing the novel. The publishers were arrested, obscenity charges were filed, and the courts banned any further printing or distribution of Ulysses in the United States. Along the way, England, too, banned the novel. Through the 1920s, the Postal Service was under strict orders to burn and destroy any copies found in the mail. And so the man standing at New York City’s docks, waiting to get through customs, was perspiring. But maybe not for the reason you think. The smuggler was following very specific instructions. He’d obtained the text, just like he’d been told. He stuffed the book into his suitcase. Then he boarded the luxurious Aquitania in Europe, with orders to disembark at this very port. But as he waited in line eying the customs officials, things weren’t going to plan. In fact, it looked like the officer was just going to wave him through. This was not what the smuggler was being paid to do; he was under strict orders to get caught! “Get out; get on out,” the customs agent yelled. Instead of checking bags for contraband, the officers were frantically stamping the suitcases in front of them. They didn’t bother to look inside, or halt passengers for random checks. As the official tried to push the smuggler forward, the traveler did something inane: he demanded to be inspected. "I insist that you open the bag and search it." Annoyed and overheated, the inspector dug through the man’s bag and discovered the copy of Ulysses. Then he shrugged. Even with the illegal item in hand, the customs inspector was too hot to care. "I demand that you seize this book,” the man said. When the agent refused, the man called for a supervisor. When the official’s boss started to argue with the man, imploring him to be reasonable and take his book and go, the smuggler barked on about laws and duty. Realizing that this long-winded man wasn’t going anywhere until they had seized his book, the two officials eventually relented and confiscated the copy of Ulysses. The tale is one of the most baffling encounters in customs history. It’s also one of the most important. Getting Ulysses impounded was a crucial part of publisher Bennett Cerf’s plot to take on censorship in America. As the co-founder of Random House, the brilliant, hilarious, and sometimes controversial Cerf wanted desperately to publish James Joyce’s work in the U.S., so he’d arranged for it to be smuggled into the country. But it’s what he pasted inside the cover of that bulky book jacket that truly changed society. Born in 1898, Bennett Cerf grew up on the Upper West Side of Manhattan, a second generation New Yorker with family hailing from Germany and Alsace. Although his maternal grandfather was a successful businessman, Cerf’s parents were solidly middle class, and he grew up attending public school and playing stickball in the streets. Things changed abruptly when his mother died, the day before he turned 16. His grandfather, distrustful of Cerf’s father’s ability to manage finances, had put money in a trust for Cerf under his mother’s care. Upon her death, the teenager inherited close to $125,000. Thrown by the simultaneous loss of his mother and the acquisition of a fortune, Cerf left high school and went to the Packard Commercial School for a year, learning penmanship and getting his first look inside how businesses like restaurants and department stores ran. When his Uncle Herbert talked him into going to college, he entered Columbia’s journalism school (which he picked, in part, because it was one of the few programs where Latin and Greek weren’t required). There, he found himself surrounded by future luminaries: Broadway songwriter Oscar Hammerstein was the head of his fraternity; one half of Simon and Schuster, Max Schuster, was also there, while Richard Simon was in the college. In 1920, Cerf earned a journalism degree and was hired as a reporter for the New York Herald Tribune (he was soon fired from the paper after dispensing advice he hadn’t run by his editor in a finance column) and at a Wall Street brokerage firm. When he heard about an opportunity at the publisher Boni & Liveright, he quit and used part of his inheritance to keep the publishing house afloat. After apprenticing at the business for a few years and wining and dining authors, Cerf struck out to make his own name in publishing. On his 27th birthday, Cerf and his college friend Donald Klopfer bought the Modern Library imprint for $200,000. Two years later, when they’d more than recouped their investment, the pair founded Random House Publishing on a lark. “We just said we were going to publish a few books on the side at random. Let’s call it Random House,” Cerf recounts in his autobiography At Random. With the onset of the Depression, Random House moved into trade publishing, a decision that would help keep them afloat during the Depression, and would eventually help them become the largest English language trade publisher in the world. But before most of this, in the first few years Random House existed, Cerf focused all of his skills—his business acumen, his charm, and his humor—on one of the most troubling censorship cases of the era: America’s banning of Ulysses. After U.S. courts banned Ulysses from being serialized in the literary magazine The Little Review in 1920, Sylvia Beach, the owner of Shakespeare Publishing Co. in Paris, stepped up to publish the first full version of the novel in 1922, wrapped in a distinct light blue cover. The book was hounded by criticism and claims of obscenity from its initial publication. Shane Leslie in the Quarterly Review claimed that the book "tries to pour ridicule on the most sacred themes and characters in what has been the religion of Europe for nearly two thousand years." A review in the New Statesman called Ulysses "an obscene book," even though the review also argued the book "contains more artistic dynamite than any book published for years." Harvard Professor Irving Babbit said that to write Ulysses, Joyce must have been "in an advanced stage of psychic disintegration." Despite the criticism and the effective banning of the book in the U.S., copies still made their way into the U.S. covertly, snuck home by tourists who had stopped by Beach's shop, or stealthily shipped through the mail. Any copies discovered by the U.S. Postal Service were burned. Censorship in America and Britain didn't stop Ulysses from continuing to find audiences, but it also meant Joyce had no legal means to protect his work. Excerpts from Ulysses, full of significant errors, were published by the notorious New York publisher Samuel Roth starting in 1926 without Joyce's full permission. Not only did a protest letter signed by 162 noteworthy figures of the era (including Albert Einstein) fail to stop Roth from pirating Joyce's work, he went on to publish a complete version of the book in 1929, also full of mistakes. Ulysses seemed destined to be relegated to being a novelty, available only by visiting Beach’s Paris bookstore, or from shady publishers looking to make a buck off of Joyce's notoriety. Ernst agreed. With the legal representation locked down, next Cerf had to win over James Joyce. He wrote to the author at the Shakespeare and Co. Bookshop in Paris to discuss if he would be interested in a meeting to discuss publishing Ulysses in America, legally. When Joyce wrote back, Cerf booked his ticket. Once he arrived in Paris, Cerf went to meet Joyce at Shakespeare and Co., where he found a surprise. Joyce was there, but he was in rough shape: one arm in a sling, foot and head in bandages, and an eyepatch over his left eye (Cerf only discovered later that Joyce always wore the eyepatch). 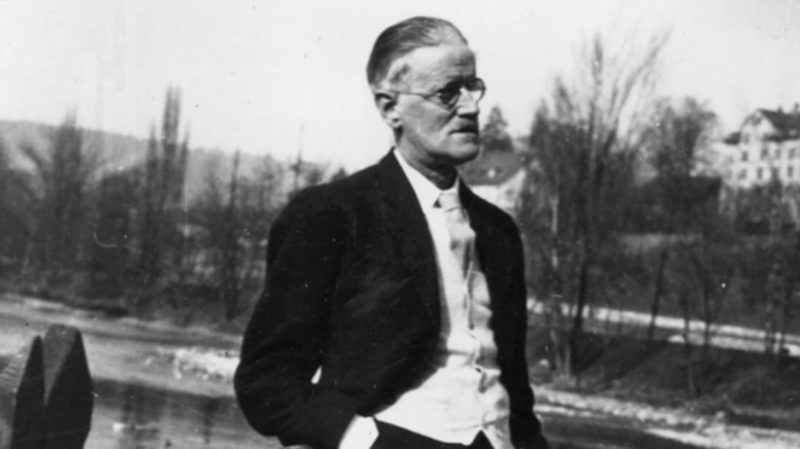 Sylvia Beach explained that Joyce had been so excited to meet Cerf and finally have his book published in the U.S. that he had walked straight into traffic without looking, and had been hit by a taxicab. But in spite of his condition, Joyce still wanted to negotiate. Cerf proposed an advance of $1500 on 15 percent royalties if they won the court case, in exchange for rights to the official edition of Ulysses. Win or lose, Joyce walked away with $1500. For Joyce, who needed the money, it was already a win. Once back in the States, Cerf and Ernst began scheming on the best way to have the book entered into the courts. Cerf could, of course, publish the book and risk a massive trial and take massive losses on all the printing costs if the courts ruled against him. Or, as Ernst cleverly pointed out, they could go another way: What if they smuggled a book into the country and made sure it was confiscated at customs? And what if they packed the book with positive evidence? Because Cerf and Ernst both knew that outside criticism of Ulysses could not be considered in a trial, Cerf decided to make them part of the book. To make the judge see just how important the book was in the scope of modern literature, he pasted essays and critical acclaim from the likes of Ford Madox Ford and Ezra Pound into the book’s jacket and opening pages, until it could fit no more: “By the time we were finished, the covers were bulging,” Cerf wrote later. The publisher and lawyer also took pains to figure out exactly which judge they wanted to try the case. They decided on John M. Woolsey, who had a record of lobbying for the arts; they waited till he would be back from vacation and picked a specific port and date to smuggle the book into to assure he’d be on the bench. This was the copy the passenger on the Aquitania had brought with him to be confiscated at the New York City docks. Despite the dock inspectors’ lack of enthusiasm, this was the copy that was seized, and the one that would go into the court records. The stage had been set—just how Cerf had planned it. The case, called United States vs. One Book Named Ulysses, went to court in fall 1933 with Woolsey on the bench. The case proceeded for two days with no jury, and Woolsey’s verdict was delivered soon after. In his conclusion, Woolsey’s decided that Ulysses was “a sincere and serious attempt to devise a new literary method for the observation and description of mankind” and that "Ulysses may, therefore, be admitted into the United States.” Cerf and Ernst had won. Cerf had his typesetters at the ready. Within 10 minutes of Woolsey’s verdict on December 3, 1933, the printing process began; future editions of Ulysses would include the full text of Woolsey’s decision. Joyce, too, was overjoyed. Upon hearing the news, he wrote: “Thus one half of the English speaking world surrenders. The other half will follow.” The hype and trial made Ulysses a bestseller in the United States, and as Cerf later noted, “[it] was our first really important trade publication.” Cerf never got Joyce to visit for a book tour, though: "We almost lured Joyce to America once, but he was afraid of boats." Far more important than sales was the long-lasting implications that the verdict had on American censorship. In 1934, the case was appealed by the United States, but upheld in a 2-1 vote in the Second Circuit. Ernst would call Woosley’s ruling “a body-blow for the censors.” Ideas that the judge put forth in his ruling—that a work of literature should be judged as a whole rather than by contentious excerpts, and that the average American reader should not be deprived access to controversial literature—would ripple out, playing a key role in future censorship and obscenity cases in the United States, including when works like Henry Miller’s Tropic of Cancer and Allen Ginsburg’s Howl faced obscenity charges in the 1950s and '60s.